These great watches from Activa are on sale at MyHabit right now... marked down from $125 to $25, with free shipping! I love the simple design and color combinations. Even though these violate my $10 watch rule for kids, I might consider splurging a little on these beauties for an older child. And they are a no brainer for an adult looking for a good-looking watch that will not break the bank. They even have a limited 2 year warranty! 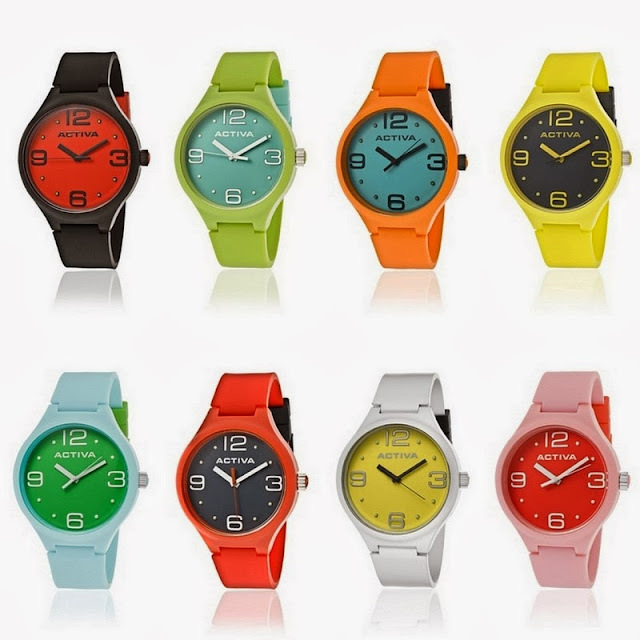 Find these watches and many others from Activa (starting at $17) here at MyHabit. This sale ends Tuesday (12/31) at 9 am PT.